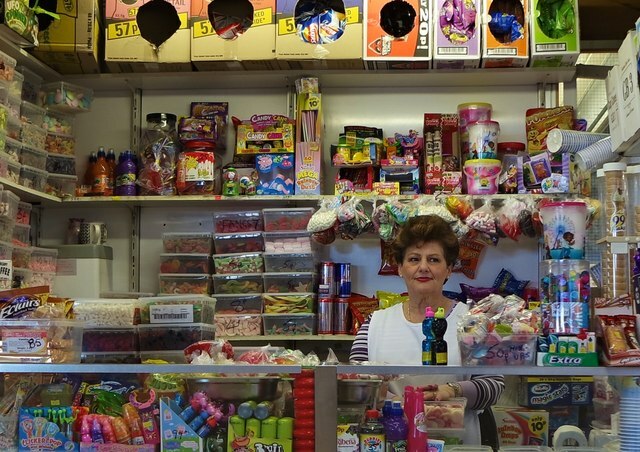 One of Warrington's oldest confectioners, operating out of the old Market which is due for demolition this year as part of Warrington's central regeneration project. A temporary market is being built to house the stall-holders while the old market is demolished and a new one built. The lady pictured happily posed for my picture. © Copyright Matt Harrop and licensed for reuse under this Creative Commons Licence. This page has been viewed about 195 times. She cancelled the order and the gates and statue were bought by Warrington Council!